As one of the most popular programming languages in the world, Java is capable of some pretty amazing things. Your favorite Android apps, online desktop games like Minecraft, and hundreds of thousands of e-commerce applications are all built with Java code. But none of these Java apps would be possible without some form of Java hosting. Java hosting depends on a combination of different Java programs working together to transfer data between a server and a client. One of these essential programs is a server-side technology called a Java servlet. How do you host your app using servlets, and how can Java servlet hosting improve the way that users view and interact with your Java app? A Java servlet is a smaller program within a server (think as piglet is to pig, servlet is to server) that extends its capabilities and responds to requests from a web browser in order to generate dynamic web content. Java servlets are the Java-equivalent of PHP and ASP.NET technologies. But while they perform the same basic server-side functions, only servlets are compatible with the Java programming language. There are two main types of Java servlets – generic servlets (sometimes referred to as basic servlets) and HTTP servlets. Generic servlets are independent of any specific protocol, while HTTP servlets are specific to a particular HTTP protocol. Today, generic servlets are rare – you’ll primarily be using HTTP servlets to host your Java app. How do Java Servlets Work? Servlets are like the middleman between the client and the host server. When you or another user want to use the Java application you’ve built and hosted on the web, a request is sent from the client’s browser to the hosting server. A Java servlet translates the request so that it can be executed and then sent back to the client. Now that you know what Java servlets are and how they work, how can using them benefit your Java app? What makes Java servlets better for your business than other dynamic server-side programs like Common Gateway Interface (CGI)? ◈ Performance: Your Java app will run faster with the help of Java servlets because they’re able to process multiple requests simultaneously, while CGI can only handle one request at a time. ◈ Portability: Because Java servlets are written entirely in Java code, they’re entirely platform independent. That means that it’s easy to switch between operating systems without having to change a thing, saving you a considerable amount of time and frustration. ◈ Security: Because Java servlets are a server-side technology, they inherit the protections of the host server. While this depends largely on the hosting provider that you choose, it’s still far more secure than anything client-side. What is a Java Servlet Container? Java servlets are just one of the many programs that make up a Java Virtual Machine (JVM), and they can’t be deployed without the help of a Java servlet container. A Java servlet container is a program responsible for the creation, execution, and destruction of Java servlets. The container provides an environment for servlets to run in and interacts with them to handle user requests. Apache Tomcat is easily the most popular servlet container used by developers to host Java applications. Since its initial release in 1999, the free open-source program has been downloaded more than 10 million times, and remains a Java hosting staple to this day. ◈ Reliability: Because it’s open-source, Tomcat is constantly being tweaked and perfected by developers. More than a decade of these performance updates has made Tomcat the most reliable web container available. ◈ Lightweight: Tomcat is an incredibly lightweight application, meaning it takes up less server memory and runs quickly. 1. A request is sent from the client web browser and received by the Java web container. 2. The server loads the proper servlet class. 3. The servlet instance is created by the web container. 4. The servlet is initialized by the web container using the init() method. Servlets only need to be initialized once. 5. Once initialized, the service() method is invoked by the web container. The service() method is invoked each time the servlet is requested – if a servlet has already been loaded, instanced, and initialized, this becomes the new first step. 6. When the servlet is no longer needed, it’s removed by the web container using the destroy() method. So why does knowing any of this matter? 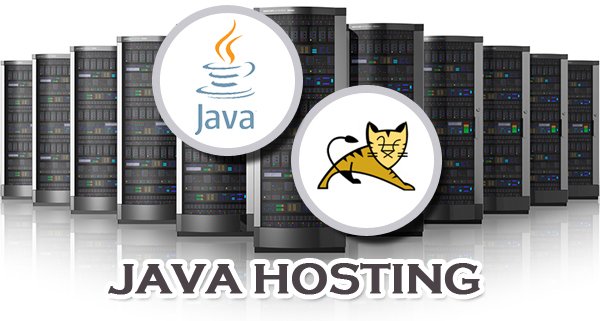 Understanding how these Java programs work is important when it comes to choosing the best Java servlet hosting provider. Knowing more about the technology behind your Java app can give you a clearer idea of the quality of different hosting services and save you from falling victim to scams and false promises. Now that you know how Java servlets and web containers work, how do you find a good hosting service that supports Java servlet hosting? As you’ve just learned, Java hosting is a fairly complex process compared to traditional hosting, so finding a Java hosting provider that meets even the basic requirements can be tricky.